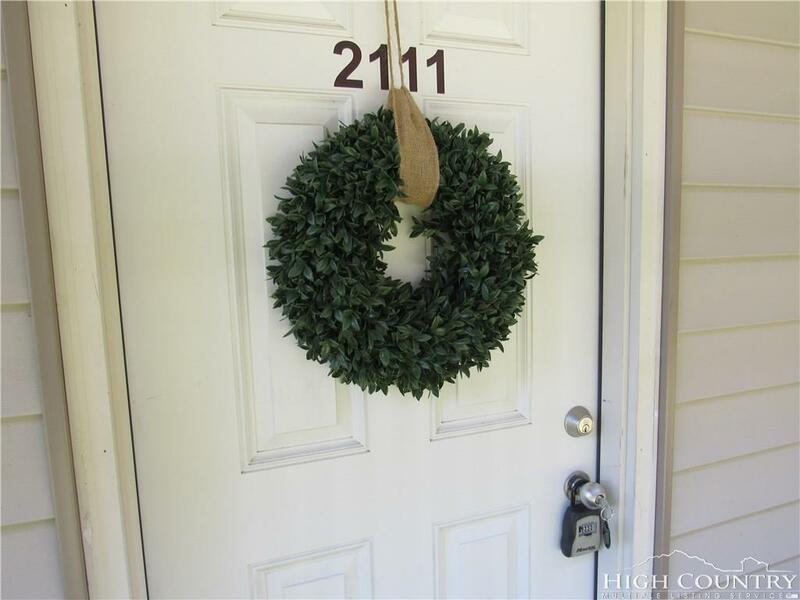 BARGAIN price on this most attractive, beautifully remodeled 2BR/2BA one level condo high on Beech Mountain. Furnished, Clean, Neat, Move-in ready so you can enjoy this four season mountain retreat as soon as you buy it. Easy parking beside building allows access by short sidewalk/handicap ramp or five quick steps to the walkway to this first floor condo! 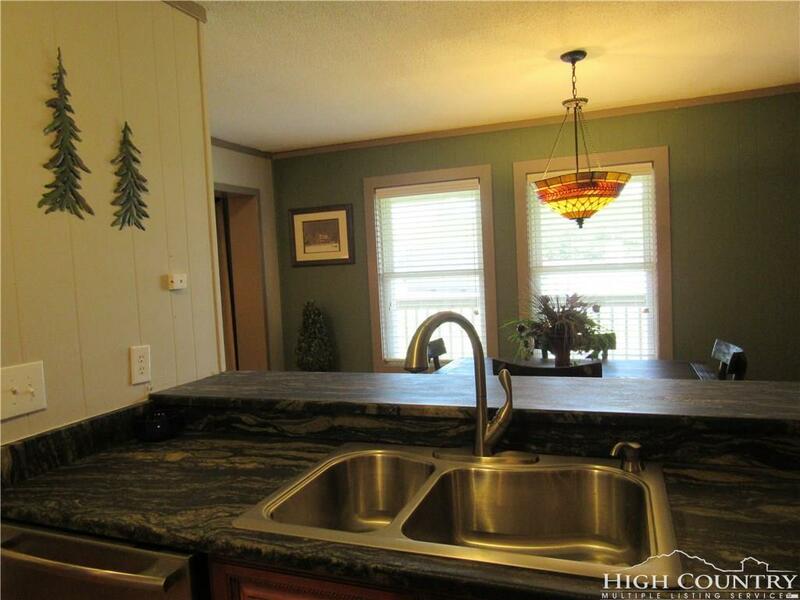 Completely renovated, nicely furnished ground floor condo that exudes mountain charm. 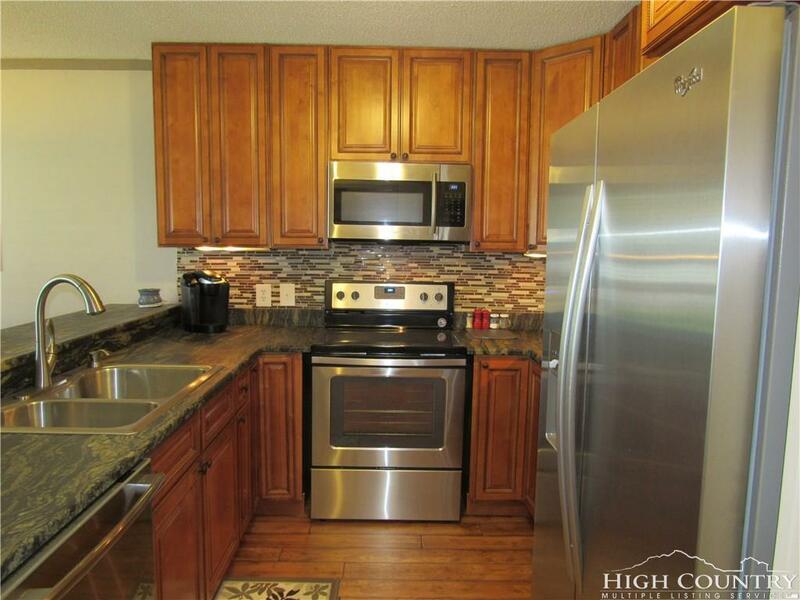 Stainless appliances and gorgeous kitchen cabinets. High end upgrades such as granite, beautiful rock fireplace with gas logs, lovely hardwood flooring, distinctive lighting, custom tile in kitchen and baths, mountain decor. 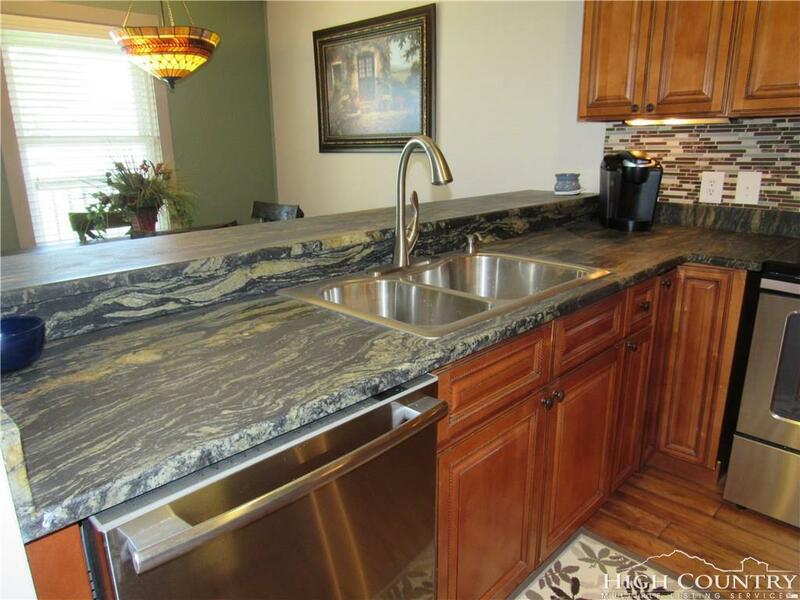 Quick access to parking, trails, dog park, town activities, restaurants. Awesome value. Super inclusive POA fees cover water/sewer/trash, expanded cable TV/HBO, internet, local phone, insurance on exterior, building/grounds maintenance, on site management. Amenity Center: indoor heated pool, hot tub, sauna, mini-golf. Pinnacle Inn improvements over the last few years include installation of a flat membrane roof, new windows, new decks, new siding and entry steps, new sliding glass doors.